The Mini Da Vincis are at it again! They have been asked to help make props for the play 5th grade is doing if The Phantom Tollbooth. 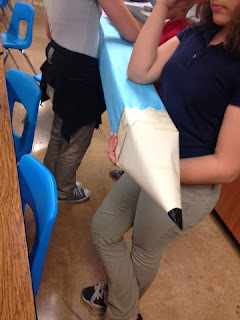 Apparently one of the characters carries a giant pencil...we didn't have any round shaped cardboard to work with so the kids used a long rectangular box. They've posted a few more pictures over at the blog: Mini Da Vinci's Wordpress. 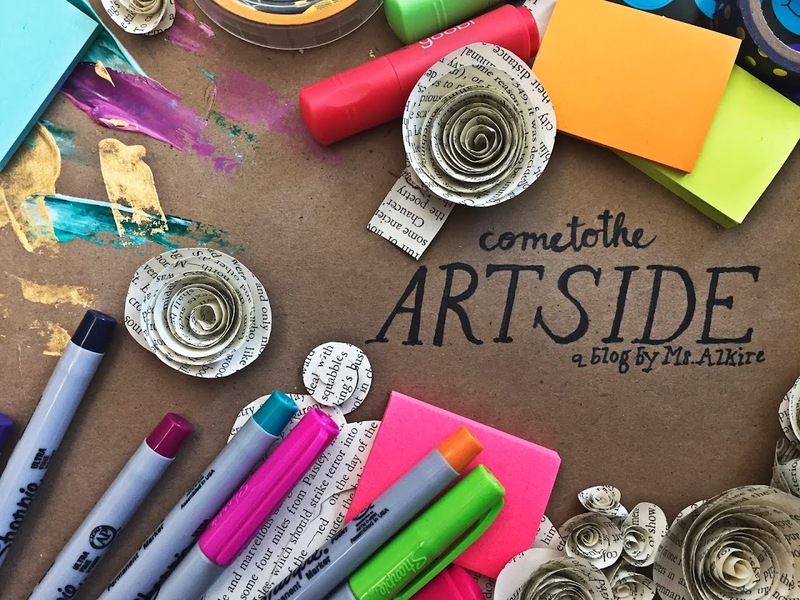 If you have an art club, what are some things your kids have been asked to do? We just got finished making a very large pizza out of cardboard and paper mache for a fundraising company that our school uses. It looks tasty! That is so awesome! I love when we can work together with others to accomplish something more, don't you?